The natural and holistic approach to pet care, animal nutrition & human health and wellness. We specialize in natural and holistic approaches to pet care and human health. Just like humans, domesticated animals like dogs and cats are affected by the health hazards of modern living. Pollution, poor nutrition, stress and unhealthy lifestyles can lead to a variety of illnesses and conditions. While it has its place, conventional medicine has failed us in many ways. Most holistic doctors and veterinarians list annual vaccinations and commercial pet foods as the major contributory cause in the rising rates of chronic illness today. Contrary to the belief that mass vaccination and antibiotic use will contribute to a decrease in disease, the opposite has in fact proven true. Like their human counterparts, today’s pets are becoming more and more vulnerable to chronic disease and ill health. This has led many doctors and veterinarians to search for alternatives and to adapt more holistic methods of keeping us and our pets healthy. JudysHealthCafe.com provides healthy, all natural products and alternative treatments to help you and your pets achieve and maintain a healthy lifestyle. We are a growing, dynamic company with one single goal in mind – to restore health and wellness to you and your pets through our holistic philosophy and approach toward health care. We invite you to join us in our exciting journey toward an optimum healthy lifestyle for you and your pets. Life's Abundance Dog Foods have NEVER been on any recall list. Provides your best friend with a premium health food made with fresh, quality wholesome ingredients. A healthy, satisfying diet for all breeds, sizes and ages. All Stage, Grain Free, Weight Loss and Puppy Formulas available. Life's Abundance Cat Foods have NEVER been on any recall list. 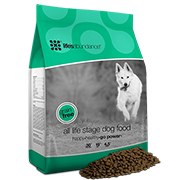 Provides your best friend with a premium health food made with fresh, quality wholesome ingredients. A healthy, satisfying diet for all breeds, sizes and ages. 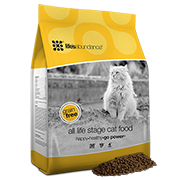 All Life Stage, Grain Free and Canned Cat Foods available. Obesity is one of the greatest health concerns facing our pets. Life’s Abundance Weight Loss Formula Dog Food actually works and can help keep your dog in robust good health with a shiny coat and the energy to live life to its fullest. 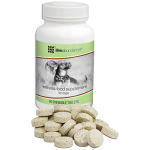 Life’s Abundance Weight Loss Formula For Dogs has Never Been On A Recall List. Chemicals are poisons and can lead to many chronic and potentially deadly health problems. Holistic veterinarians suggest using an all natural flea and tick prevention product. Flea Free is the natural way to get rid of fleas, ticks and biting insects. Life’s Abundance omega-3 fish oil supplements are highly concentrated with two-to-three times as much health-promoting EPA and DHA as competing brands. 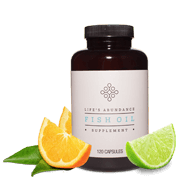 Life's Abundance Omega-3 Fish Oil has an IFOS 5-Star, the highest possible rating for fish oil. Does your pet have difficulty with stairs, jumping up to greet you, seem slower to rise or slower to retrieve the ball? Several hip and joint formulas are marketed for companion animals. Unfortunately, most of these products treat the joint as an isolated goal and for this reason they do not work as well as they could. 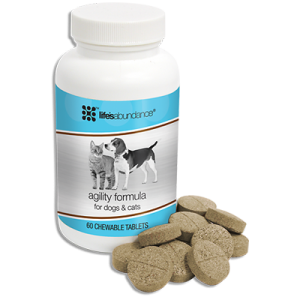 Our Agility supplement is a holistic formula, which means that it takes into account the needs of the whole body, including all the parts that work with the joints. You want to ensure the well-being of your dog or cat. But it may not be a simple matter to determine which nutrients are required for optimal health. You see, no two pets are the same, due to a variety of factors, including differences in breed, life stage, health needs, personality, living environment and level of activity. In part, it is due to your pet’s unique health requirements that adding a dietary supplement to their daily nutritional intake is more important than you might think. While feeding a wholesome, nutritious food like Life’s Abundance, supplements are a necessary component in fulfilling the individual dietary requirements of your companion. Each of our dietary supplements were developed with and are endorsed by celebrity nutritionist and author, Keri Glassman, MS, RD, CDN. Keri Glassman is the author of four books and makes frequent appearances on popular TV shows including The Today Show, The View, The Rachel Ray Show and CNN to share her nutritional expertise. For over a decade, Ms. Glassman has been a leader in advancing a “whole person” approach to health and wellness. Because Keri’s mission so closely aligns with the mission at Life’s Abundance, working together to create this top-quality dietary supplement line was a natural fit. 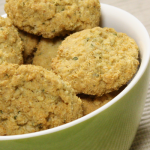 Unfortunately, most of the pet snacks available on the market today are non-nutritive “junk foods” that could be dangerous to your dog’s or cat’s health. It’s important to remember that even if you feed your pet a diet of healthy food, mass-marketed treats can have a significant negative impact on his or her health. Premium chews, training treats and baked goodies offer wholesome, healthy and delicious canine and feline rewards. No artificial flavors or colors. No corn, wheat or corn/wheat glutens. Never Been On A Recall List!